Defendant's Attorney: Robert P. Dunlap, Esq. exchange of the pills purchased as they were tiny. outside . . . he was outside the door.” Once the petitioner stepped out onto the porch, Ms.
found the petitioner guilty of two counts of delivery of a controlled substance. conspiracy to commit a felony of transferring stolen property on June 13, 2009. See W. Va.
pursuant to West Virginia Code § 61-11-18. The instant appeal followed. in the light most favorable to the prosecution, any rational trier of fact could have found the essential elements of the crime proved beyond a reasonable doubt. When a criminal defendant undertakes a sufficiency challenge, all the evidence, direct and circumstantial, must be viewed from the prosecutor’s coign of vantage, and the viewer must accept all reasonable inferences from it that are consistent with the verdict. This rule requires the trial court judge to resolve all evidentiary conflicts and credibility questions in the prosecution’s favor; moreover, as among competing inferences of which two or more are plausible, the judge must choose the inference that best fits the prosecution’s theory of guilt. confidential informant, involves a determination that rests with the jury and not this Court. conviction on two counts of delivery of a controlled substance. “‘The Supreme Court of Appeals reviews sentencing orders . . . under a deferential abuse of discretion standard, unless the order violates statutory or constitutional commands.’ Syllabus point 1, in part, State v. Lucas, 201 W. Va. 271, 496 S.E.2d 221 (1997).” Syllabus Point 1, State v. Booth, 224 W. Va. 307, 685 S.E.2d 701 (2009). we undertake an examination of the issue before us. subject to scrutiny under the proportionality clause of our Constitution. See W. Va. Const. art. III, § 5; U. S. Constitution amend VIII. [w]hen we analyze a life recidivist sentence under proportionality principles, we are in effect dealing with a punishment that must be viewed from two distinct vantage points: first, the nature of the third offense and, second, the nature of the other convictions that support the recidivist sentence. This duality is occasioned by the fact that the punishment for the third felony conviction is an automatic life sentence regardless of the nature of the penalty for the underlying third felony. . . .
We do not believe that the sole emphasis can be placed on the character of the final felony which triggers the life recidivist sentence since a recidivist statute is also designed to enhance the penalty for persons with repeated felony convictions, i.e., the habitual offenders. However, for purposes of proportionality, the third felony is entitled to more scrutiny than the preceding felony convictions since it provides the ultimate nexus to the sentence. The appropriateness of a life recidivist sentence under our constitutional proportionality provision found in Article III, Section 5, will be analyzed as follows: We give initial emphasis to the nature of the final offense which triggers the recidivist life sentence, although consideration is also given to the other underlying convictions. The primary analysis of these offenses is to determine if they involve actual or threatened violence to the person since crimes of this nature have traditionally carried the more serious penalties and therefore justify application of the recidivist statute. accord Kilmer, 240 W. Va. at 185, 808 S.E.2d at 867-68, Syl. Pt. 3.
the sale of the Oxycodone pills to the confidential informant that the child was present. so as to justify this Court now imposing a life recidivist sentence. violates the proportionality clause of the West Virginia Constitution in State ex rel. Boso v.
focus the imposition of a life sentence under the recidivist statute on the triggering felony. of marijuana with intent to deliver involved no violence or threat of violence to the person. We reject the State’s reliance upon State ex rel Daye v. McBride, 222 W. Va.
not less than ten nor more than thirty years under delivery of a controlled substance statute. was mandatory under West Virginia Code § 61-11-18. 222 W. Va. at 20, 658 S.E.2d at 550. The circuit court entered a “corrected” order sentencing the defendant to life imprisonment. Id. The petitioner’s direct appeal challenging his life sentence was denied by this Court. When any person is convicted of an offense under the Uniform Controlled Substances Act (W. Va. Code, Chapter 60A) and is subject to confinement in the state correctional facility therefor and it is further determined, as provided in W. Va. Code, 61-11-19 (1943), that such person has been before convicted in the United States of a crime or crimes, including crimes under the Uniform Controlled Substances Act (W. Va. Code, Chapter 60A), punishable by confinement in a penitentiary, the court shall sentence the person to confinement in the state correctional facility pursuant to the provisions of W. Va. Code, 61-11-18 (2000), notwithstanding the second or subsequent offense provisions of W. Va. Code, 60A-4-408 (1971). 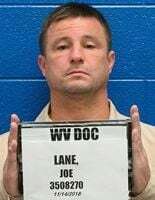 we believe that the filing of such informations pursuant to W. Va. Code, 61-11-19 (1943) is relatively rare and only occurs in more extreme cases where a defendant’s criminal history suggests that a more severe sentence than may be imposed by the penalty for the underlying offense. Furthermore, since many of the offenses under the Uniform Controlled Substances Act are relatively minor and involve little or no danger to others, they may be inappropriate for the more severe treatment under W. Va. Code, 61-11-18 (2000) and W. Va. Code, 61-11-19 (1943). the proportionality clause of our constitution. sentence violates the proportionality clause of the West Virginia Constitution. sentence for recidivism and remand the case to that court for resentencing.